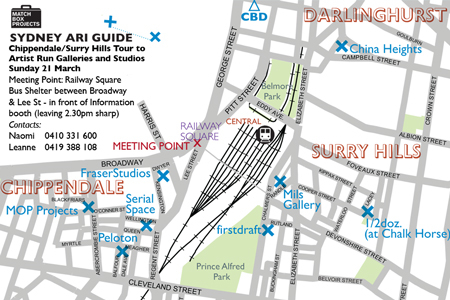 Join us on an afternoon walking tour through Chippendale and surrounds at 2.30 pm. Visit local artist run galleries, spaces and art studios and meet ARI Directors and artists who will give insights to their spaces/work/practice. This tour is being held during Art Month Sydney - a month long series of art events being held through Sydney’s Contemporary Art Spaces.